Spring 2019 Reading Group at OASIS Senior Center: "Merchant of Venice"
discussion. No background in Shakespeare or drama required. Books will be provided. Please plan to attend all sessions. 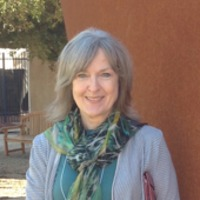 Susan Jarratt is professor emerita of Comparative Literature at the University of California, Irvine. She earned her Ph.D. at the University of Texas at Austin. Her interests include ancient Greek and Roman rhetoric, feminist theory, historiography, and contemporary rhetoric and writing.